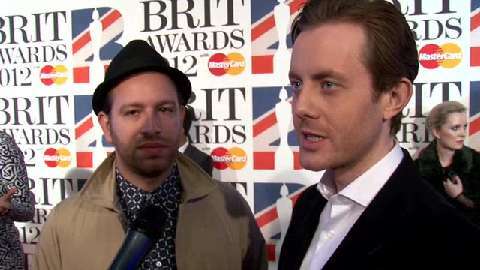 Dance Duo Chase And Status To Duet With R&B Queen Rihanna? The popular dance duo chase and status have recently spoken of their desire to collaborate with the ‘S & M’ songstress Rihanna. The UK based dance DJ’s have spoken openly on their wish to work on a collaboration with the ‘Umbrella’ singer, admitting that they have a great deal of respect for the Barbadian singer. The beautiful Rihanna has never been one to turn done an opportunity to collaborate with well-known artists in the past, having previously teamed up with stars such as David Guetta, Eminem and Coldplay – which suggests that the pair from London may be in for a chance! Controversially, Rihanna’s latest collaboration has been with her ex, singer Chris Brown. The former lovers have sparked up recent outrage by choosing to feature together on a track titled ‘Birthday Cake’, in which the two are heard singing explicit lyrics which have definitely caught the attention of fans everywhere. In light of their violent history, many people have expressed their disappointment at the two R&B singers’ latest antics and hope that their latest single doesn’t spell out a possible romantic reunion. This entry was posted on Thursday, March 1st, 2012 at 2:16 pm	and is filed under Music News. You can follow any responses to this entry through the RSS 2.0 feed. Both comments and pings are currently closed.